With the growing demand of oil in major oil consumption areas, meanwhile, the gap between production and consumption increasingly obvious. Irregular distribution of petroleum and the separation of oil production and consumption are the root cause of globe oil trade. Currently, oil consumption in Asia-pacific region has reached more than 1/3 of total globe petroleum consumption but the region's oil reserves and production account for just 2.8% and 8.7% of the world's total. 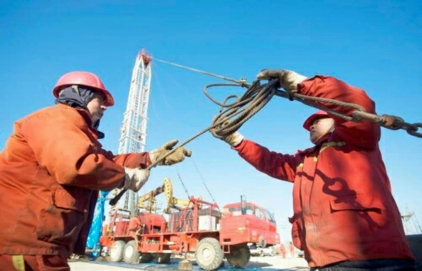 With the adjustment of the global supply and demand structure and the accelerated development of the oil refining industry, the trend and structure of oil trade are changing constantly. The scale of global oil trade continues to develop, and oil trade expands faster than crude oil. 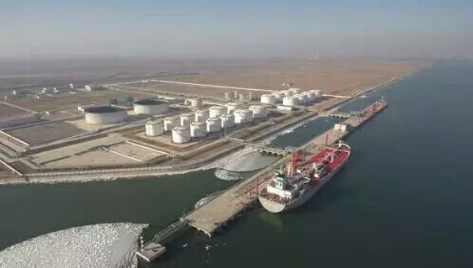 From the perspective of oil trade structure, the current world oil trade is still dominated by crude oil trade, but the growth rate of oil trade is accelerating, and the proportion is constantly improving. Global oil trade accounted for 35.2 percent of oil trade in 2016, up 13.1 percentage points from 2000. The Asia-pacific region consumes more than a third of the world's oil consumption, and the region's oil supply is far from meeting its own needs, creating demand for imports. Since the beginning of the new century, as the Asia-pacific has gradually surpassed North America as the world's largest oil consumption region, oil import demand in the region has been further improved. Europe and North America, the oil trade accounts for the percentage of the global total reason lies in the two regions has passed its peak oil consumption demand share by continual squeezing in the Asia-pacific region, on the other hand, the north American oil production increased significantly, especially shale oil revolution led to American oil self-sufficiency, needs further cuts in the north American oil imports The Middle East is the world's largest oil exporter. In terms of exports, the Middle East, which accounts for a quarter of the world's oil reserves and a third of its output, is the world's largest oil exporter. From crude oil, the Middle East still holds the absolute position of global crude oil exports, accounting for 46.4 percent, but down from 2000. 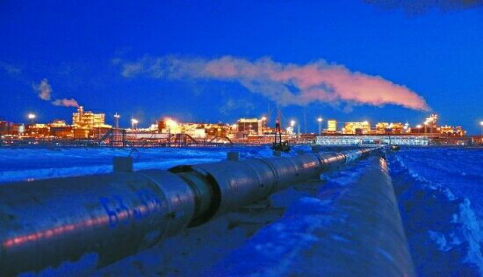 In terms of oil products, the Asia-pacific has surpassed Europe and the Middle East as the region with the largest oil exports, thanks to the rapid development of the oil refining industry in the Asia-pacific region in recent years. Before 2000，the global refining center mainly concentrated in Europe and America region, but since the new century, the global refining industry structure also gradually from the past the United States, Europe, the three cent world into the current Asia-pacific dominance, thus promoting the region's oil exports. The mismatch between world oil market demand and supply distribution is the root cause of oil trade, and the unbalanced development of the two has promoted the development of oil trade. From the point of demand, medium to longer term in the Asia-pacific region will still be the main source of world oil demand growth, but the region's oil resources is limited, lacking the ability to supply, to meet the demand of its development, as the further expansion of oil refining industry in the region at the same time, crude oil and oil trade in the Asia-pacific region is expected to total scale will expand further, the world's major oil source will be aimed at the Asian market, efforts to increase oil exports to Asia. From the supply point of view, with the increasing self-sufficiency of oil supply in North America, the decline in import and export of the region will further promote the eastward movement of global oil trade. With increasing exports, America's target range crude oil exports are also growing, now has been basically covered the world main countries and regions, the Asia-pacific to become America's biggest target market crude oil exports, China has become the second largest oil importer, and in 2017 China overtook America as the world's largest crude oil importer. But with the development of the global refining industry, in addition to Asia, Europe and North America, the Middle East oil producers as representative of the traditional resource countries also began to develop the refining industry, and gradually shifted from crude oil export to export products, the global oil trade proportion is expected to further enhance in the oil trade. Prev News: Natural gas to remain most-consumed fuel in U.S.